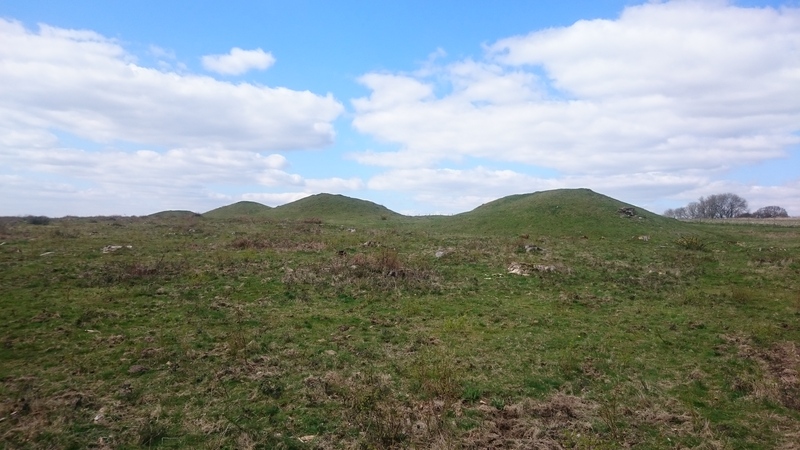 Along the way we’ll stop off at The Trundle, an Iron Age hillfort with impressive ramparts; the Devil’s Humps, a collection of Bronze Age barrows in a spectacular hilltop location and the Devil’s Jumps, another collection of Bronze Age barrows. It’s as spectacular a selection of monuments as you could get on a single ride. I’ve got this far without mentioning the riding: It’s got everything the South Downs has to offer. You’ll get broad tracks under open skies, you’ll get winding woodland trails and helter-skelter down-scarp plummets. It’s got everything you could want in a ride. The ride starts in the South Downs Way car park on the A286 just south of Cocking in West Sussex. We’ll be taking in part of the South Downs ridgeline and two hills to the south. This is a ride for those who enjoy riding and like views. We’ll be going up and down a fair bit, so some fitness is needed for this ride. You need to be confident you can ride for a few hours. There’s nothing too technical and certainly nothing that can’t be ridden at walking pace should you prefer. Should you wish to, the descents are a lot of fun taken at speed too. The pace will be determined by the group, so don’t worry about not being able to go fast enough. Expect to be riding for about three hours. We can add or subtract bits of the ride to suit the group. There will be plenty of stops, particularly at the monuments so definitely bring food. The ride is on Sunday July 24th. We’ll start at 10 am, so aim to be there at least 15 minutes beforehand so we can get faffing and fettling sorted. We should be back at the cars between 2:00 and 2:30.